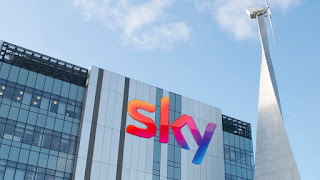 The government today said 21st Century Fox would be allowed to buy Sky plc, the owner of Sky News, but only if it agreed in advance to sell the news provider. Matt Hancock, the Secretary of State for Digital, Culture, Media & Sport, said any buyer would have to guarantee that Sky News remained financially viable, continued to operate as a major UK-based news provider and was able to make editorial decisions independently and free from any potential outside influence. He said that, without those undertakings, he would have to block the takeover - but stressed this was not his "preferred option". Mr Hancock, who was acting on the advice of the Competition & Markets Authority (CMA), also said he would raise no objection to a rival £22.1bn takeover bid for Sky from Comcast, the US cable giant. Fox has already said it would be prepared to sell Sky News to Disney in advance of its proposed takeover of Sky to overcome any concerns about media plurality in the UK. The company agreed just before Christmas to sell its entertainment assets to Disney, including its stake in Sky, for $66bn including debt. Mr Hancock said of that proposal today: "I agree…that divesting Sky News to Disney, as proposed by Fox, or to an alternative suitable buyer, with an agreement to ensure it is funded for at least ten years, is likely to be the most proportionate and effective remedy for the public interest concerns that have been identified."